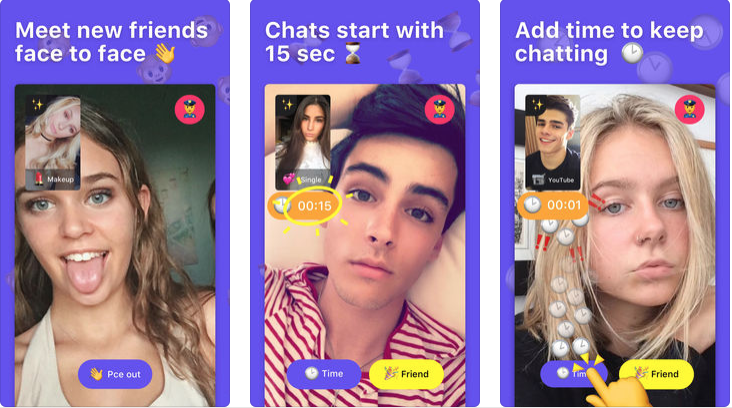 A new video chat app invites kids to send 15-second videos to strangers. What could possibly go wrong? “Meet new friends face to face!” is the tagline for social media app Monkey, the brainchild of Sydney teen Ben Pasternak and U.S. business partner and fellow teen Isiah Turner. The pair, who claimed their only aim was to “to fill the loneliness void in teenagers,” have since sold their interests in the app. It currently has more than 300,000 active users and has racked up more than three million downloads worldwide. 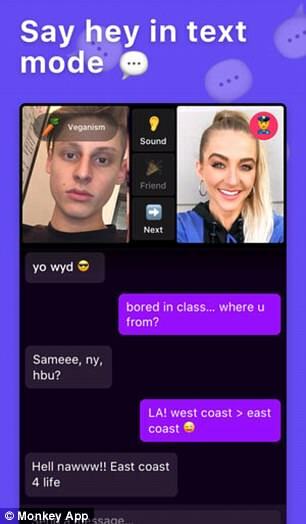 The app brazenly encourages kids to connect with strangers when “bored in class” via video or text chat. Each interaction lasts only 15 seconds, but extra time can be added if both parties agree. After the initial hook-up, users typically go on to connect on Snapchat. “Even testing it out, it was nerve-racking for me,” she added. Foster signed up using her real age, 28, and was instantly connected by a person named “CJ” who claimed to be the same age and from the US. “As soon as I accepted the call I could see a boy that looked around 12 with no shirt on. I don't know who he was hoping to speak to, but that was incredibly alarming. “Because you're given almost no information upfront, it really is a huge gamble accepting a conversation. You don't know who they are, and what they are going to say. You can also choose to speak with people who are located near you. Psychologist Dr. Michael Carr-Gregg, also a Family Zone cyber expert, echoed these concerns. “These are virtual playgrounds for children which could potentially become a vehicle for paedophiles,” he has warned. Keeping up with every new app aimed at children can be a full-time job. Luckily, Family Zone is here to help. Our subscribers get access to up-to-the-minute, expert app reviews with clear information on age restrictions and risks. (Needless to say, our reviewers have rated Monkey as UNSAFE.) If that sounds like something that could help your family stay safe online, have browse around our website - and start your free trial today.